Western philosophy has long regarded Indian philosophy as its other. 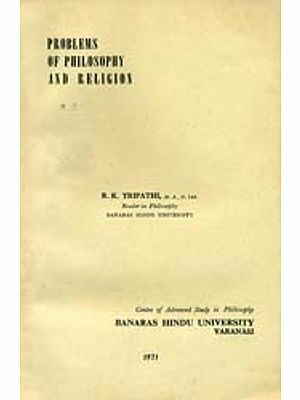 Philosophy of religion, as we know it today, emerged in the West and has been shaped by Western philosophical and theological trends, while the philosophical tradition of India flowed along its own course until the late nineteenth century, when active, if tentative, contact was established between the West and the East. 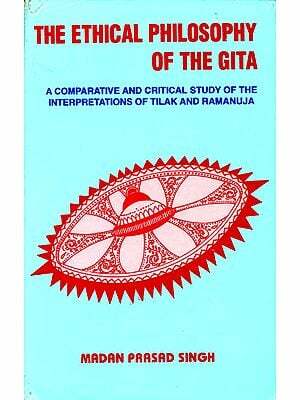 This book provides a definite focus to this interactive by investigating issues raised in Western philosophy of religion from the perspective of Advaita Vedanta, the influential school of Indian thought. In promoting the emergence of a cross-cultural philosophy of religion. Arvind Sharma focuses on John H. Hick and his well-known work The Philosophy of Religion as representative of modern Western philosophy of religion and on Sankara, along with his modern successors such as M. Hiriyanna and S. Radhakrishnan, as representative of Advaitic Vedanta. His argument is developed in a series of chapters devoted to central issues in the philosophy of religion (God, Belief, Evil, Revelation, Faith, Religious Language, Verification, Existence, Reality, Human Destiny) and concludes with a study of conflicting truth claims of different religions. Arvind Sharma is Birks Professor of Comparative Religion at McGill University. His books include Religious Ferment in Modern India (with H.W. French, St. Martin's, 1981), The Gitarthasangraha of Abhinavagupta (Brill, 1982), The Hindu Gita (Duckworth, 1986), A Hindu Perspective on the Philosophy of Religion (St. Martin's, 1991), and A Buddhist Perspective on the Philosophy of Religion (forthcoming). A cross-cultural examination of the well-known Hindu school of philosophy, Advaita Vedanta, in light of modern Western philosophy of religion.